President Trump, Congressional Republicans struggle to get along; $50 to watch people play video games in Tampa? And it's going to be a hot, humid Friday. Catching you up on overnight happenings, and what you need to know today. 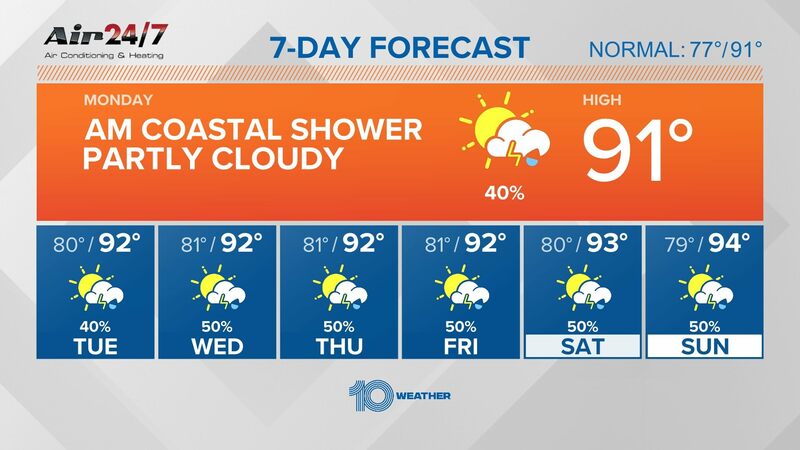 • The heat is back and its bringing humidity along for the ride: Forecasters say temperatures in the bay area could approach the record-high of 91 today and Saturday, according to 10Weather WTSP. But there won't be enough moisture to put in a dent in the bay area's drought. Temperatures will dip back into the upper 80s as the weekend ends. The next chance for scattered showers will be Monday and Tuesday. 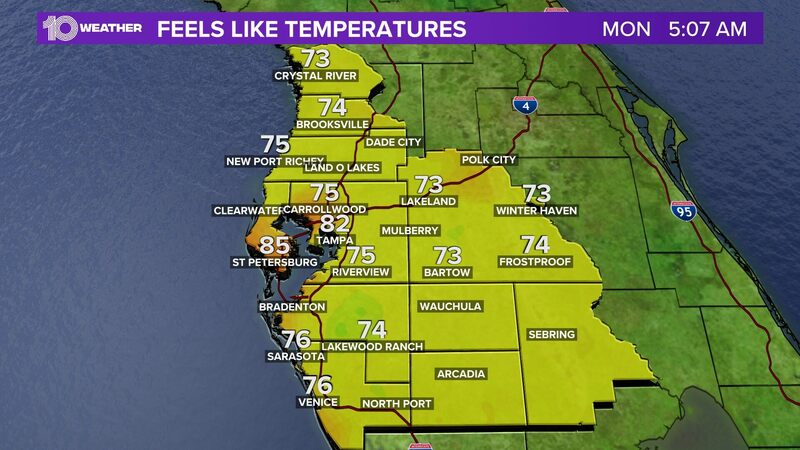 • As you head out for your morning commute, check out our live blog for the latest traffic updates and road conditions across Tampa Bay. • Here are the top things to do today in Tampa Bay including Hairspray in the park, researchers giving talks in local pubs for the Taste of Science festival and a Mega Career Fair. • Miss all of the wheeling and dealing from Day 1 of the NFL draft? Want to know how thrilled the Bucs are that Alabama tight end O.J. Howard fell to Tampa Bay with the 19th pick,/a> of the first round? Our beat writers and columnists analyze the hits and misses, while getting you ready for the rounds ahead. Check out our complete Bucs coverage. • While some Bucs fans may be celebrating that pick, FSU fans are lamenting the fact they passed on running back Dalvin Cook, who went undrafted in the first round. Columnist Tom Jones says Howard was the right pick for the Bucs. • They may be in their mid-50s, but Jay Cridlin says the Red Hot Chili Peppers exuded an energy reminiscent of their earlier days during a spirited show at Amalie Arena. Read his review here. • During the campaign, Donald Trump promised to use business prowess to cut through the Washington morass and quickly deliver on trade, taxes and health care. There would be a "great, great wall," paid for by Mexico. But 100 days into the job, Trump has not fully lived up to a central tenet of his 1987 bestseller: Deliver the goods. Times Washington Bureau Chief Alex Leary has the story of Trump's struggle to work with a Republican majority in Congress later this morning on tampabay.com. • Researchers and students from the New College of Florida, Eckerd College and Mote Marine Laboratory spent a week aboard the Florida Institute of Oceanography's research vessel, the R/V Bellows, catching, tagging and releasing a variety of shark species along the coast of Florida. Check out some pretty cool video and photos. • From the Times editorial board: The Florida House is poised to return the state to the dark ages with legislation that would allow two members of the same government board or commission to discuss government issues in secret. This is an egregious assault on one of the most precious protections Floridians have to ensure public officials are held accountable, and it cannot be tolerated. Read the editorial and today's letters to the editor at tampabay.com/opinion. • Cincinnati-based First Transit has sued the Pinellas Suncoast Transit Authority, alleging it lost the county's trolley contract because a "who's who of Clearwater" lobbied the board to choose the less qualified Jolley Trolley. Jolley Trolley has been running its trolley service in north Pinellas County since 1982, and PSTA began subsidizing the company in 2009 without ever putting the contract out to bid. Read more from Tracey McManus. • As a sign of "increasing weight" in the legislative process, Senate Democrats have enough votes to block a key priority of House Speaker Richard Corcoran, who wants to increase the property tax exemption for homeowners. • The Florida House is expected to pass watered-down legislation meant to increase the number of trauma centers in the state. Trauma centers, which handle the worst, most time-sensitive injuries like gunshot wounds and violent car crashes, are limited under state law based on the need in each part of the state. State Rep. Jay Trumbull, R-Panama City, had proposed to get rid of limits statewide. • State Rep. Larry Ahern's legislation to help reform the Pinellas County Construction Licensing Board is dead once again. The agency is under new management after a series of Tampa Bay Times reports raised issues with the way the agency conducts itself and treats residents and contractors. It's also undergoing a grand jury investigation ordered by Pinellas-Pasco State Attorney Bernie McCabe. • Here are the top things to do today in Tampa Bay including Soundgarten headling the 98 Rockfest, the Blast Friday block party in Clearwater and comedian Ron White at the Mahaffey Theater. • People will be shelling out more than $50 to watch performers play video games for nearly three hours in Tampa Sunday. It's called Let's Play Live, and it shows how top video game players — and even this troupe of comedians who play and share their comments online — are basically rock stars. "Anyone who has been to an NFL or NHL game has paid money to watch other people play a game," says one fan. "It's not really that different." • Wallet a little light? This week's 5 things to do under $5 list includes a free concert by the Fabulous Thunderbirds in Clearwater, Dragon Boat Races in Tampa and the inaugural Gulfport Grand Prix Formula 1 Boat Race. • Who are this week's pop culture winner and loser of the week? John Legend makes Time magazine's most influential list, while Scott Baio won't apologize for Erin Moran comments. Remember the giant bird that killed its owner? It's now yours to buy. The cassowary killed a 75-year-old man in Alachua on April 12. It's now being auctioned off.